Can you hear it? It’s the satisfying pop of champagne corks around the world as readers find their pre-ordered copies of Conquering Venus (Vanilla Heart Publishing, 2009) on their doorsteps. 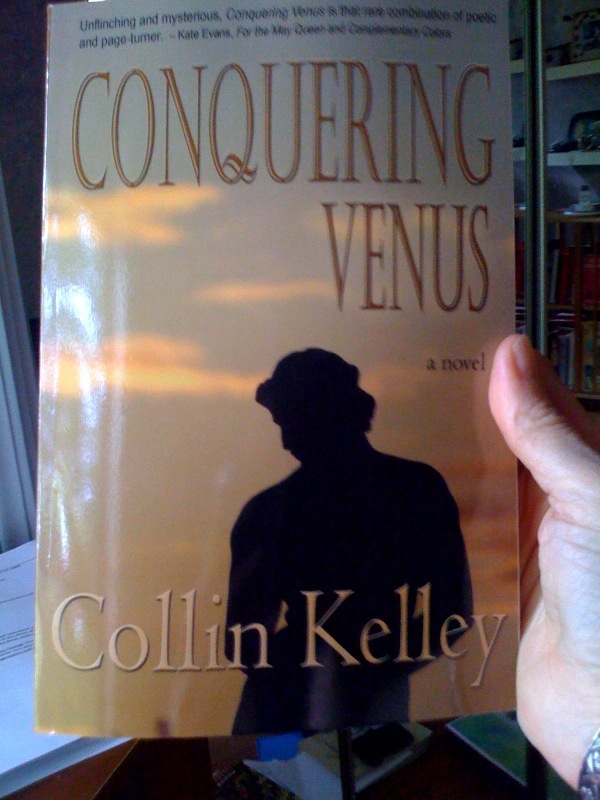 It’s the fabulous debut novel from award winning poet and playwright Collin Kelley. Stay tuned for his virtual book tour, which will be making a stop at Balanced on the Edge. Congratulations to Collin Kelley for this stunning new work of art. Congrats Collin for your debut novel. Hope everyone enjoys reading their books. Have a great night Christine. Congratulations to Collin! I can’t wait to read it. I apologize for not ordering yet. I’m so freaking broke…(wah wah…that’s the sound of me whining). But I will put it at the top of the list to buy when I get a steady job/paycheck. It does look like it will be awesome. Thanks, Christine! Thanks for posting this, Christine. My author copies arrived today, too, and photos of how gorgeous the cover is just don’t do it justice. I still can’t believe I’ve actually had a novel published. Somebody pinch me! I’m looking forward to the virtual book tour stop here, C.